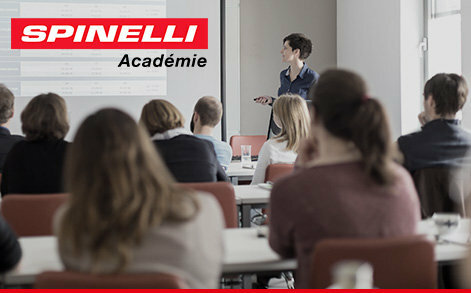 At Spinelli, we believe in the importance of continued education and training in the workplace. That is why we have put together a wide variety of continued education programs designed to cover every facet of our business as a leading dealership in Montreal. From the showroom to the service center, to administrative support and sales, all our team members regularly participate in workshops, seminars and courses which allow them to hone their skills and progress professionally. For our customers, our commitment to continuing education translates into an impeccable experience, from the very first visit to our showroom up to the delivery and maintenance of vehicles. Spinelli’s continued education is a profitable investment which allows us to always offer exceptional quality service and a first-class customer experience.